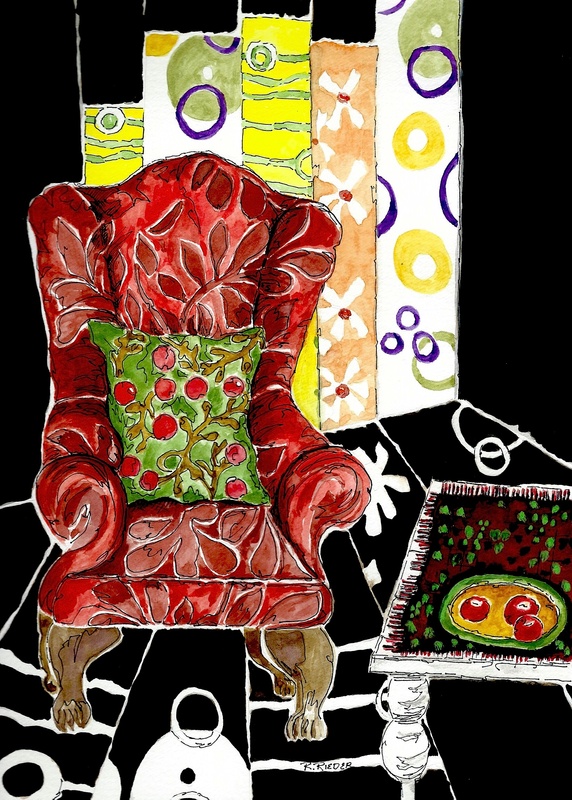 ARMCHAIR CONVERSATION… | Jots from a Small Apt. At first it was curiosity and wondering about a word. Then mental machinations and mindless wanderings took the high road and soon profound curiosity became a fever-pitched research obsession. It was all about a word, and the word was G-R-E-A-T-N-E-S-S.
A good word GREATNESS. A great word. Greatness (n.): from the adjective GREAT to describe: A great distance; a great while; a great achievement. Or, used as an adverb to modify an adjective: One of the greats; greatly missed; you are great, I am great, we are all great. And that’s the question: greatness? Huh? …and perhaps the person whose mirrored reflection you, you and you might already see? Another title, The Arrival of the Fittest: How The Great Become Great (2009) by noted author Bill Dorris, argues the point that those who obtain greatness are credited with solving a “problem”…in a field of study or perhaps a societal malaise such as Woody Guthrie providing a voice for the outcasts of the Great Depression. Well, maybe. We must then ask the bigger question: What is it all about? Do individuals (or societies) know that the underlying order of life [with] additional hard work…may determine the outcome of purpose and design, great or not, due to choices presented and ultimately made? Then there’s this: Do we find and/or define greatness as a destination or a destiny? Daughter says her greatness comes from the passion and pleasure that being a fibre artist gives her, with or without affirmation from the professional community she subscribes to. She says, “I believe in me. I just do it.” Greatness comes from acceptance. Long-time friend Jim: “Greatness I will leave to others. I am content to do my thing and raise my kids to find greatness in their lives. That will be my legacy.” Greatness comes from reorganizing energy, emotional fulfillment, meaning. I just know the TEDWeWantYouToTalk people are going to call me and I will be prepared to deliver the goods: the greatness of goods that comes from believing. In ourselves. Individually. Collectively. You, you and you…and me. It is a kind of talent in itself, to be an audience, whether you are the spectator in the gallery or you are listening to the voice of the world’s greatest soprano. Not everyone can be the artist. Caesar was great – had his legions. Napoleon was great – had his continent. Alexander was even designated “Great”. But being a good parent is the greatest of all. …and in the eyes of one’s children you would be “The Greatest”! Parents among us…who would not want to aspire to that? Thank you Carl…you’ve given me a Sunday smile…and a hankering to make telephone calls to both my children. You just painted one of my chairs in my family room, Jots! …right down to the color and the shape of the legs. I like your decor, surrounding the chair, much better than what surrounds mine. 🙂 I don’t think I’m too concerned about greatness. I use the word, though, usually as a form of praise. So it must be a “positive” in my mind. I’m still delving into the “greatness” definition. Seems we all have our own idea/ideal what it means…which says to me it is a personal reflection on what we see/view as “great”. For me, at this moment, it is a state of mind…and the sturdy contentment I feel with my surrounds. The philosophy in this post is as much fun as the painting ~ brings a ‘great’ smile to my face. Cheers! I was enjoying your artwork tremendously. Then I read about greatness. Then I thought about greatness. Then I thought about chicken. Then I got confused so I went back to looking at your artwork. Which I like a lot. Love your artwork and Grandma Moses. Just left you a message. Raye … this is TED …. why aren’t you answering the phone? An outstanding touch of philosophy to active the mind, and a touch of humor to keep the mind fresh. Gotta love a post that is simple, yet thought provoking. After reading, I returned to the painting. You’ve given the title of Three Apples, and it’s obvious why … but I see 13 apples. Better yet … the title of the post is a perfect match for your words and the painting, Now if I can just figure out the meaning of those panels behind the chair. Well done … thanks for the smiles …. and hello Portland! Hello Cincinnati!! What a hoot of a smile plus coffee and creamed upper lip you gave to my morning. So good. So good. Thank you, WILD THING, for continuing to make my heart sing. Many thanks … and of course I can’t resist this … https://www.youtube.com/watch?v=Hce74cEAAaE … Enjoy! I covet your garden. First chance I get I’m coming to live with you. Raye, nice post. That word Greatness is likely overused. Superstar is also over used. If everyone is a star, then someone better has to be a Superstar. There is a horrible truth that Human Resource professionals know, but have helped mask over the years. Almost every employee believes they are above-average. Yet, that is not the case and per normal distributions it means that 50% are beneath a median, which equals the average in this case. So, I think Grandma Moses got it right with her painful candor. And, Mark Twain even said it more succinctly, common sense is not all that common. So, I guess we should be the greatest person we can be. We do our best and treat others people well and that should due and leave us proud of our efforts. Respectfully, a less than great person, but the best BTG I can be. btg, I especially like the comment my good friend Jim made about “leaving greatness to others”. Clearly the word itself, G-R-E-A-T-N-E-S-S can be overused but should not be overlooked [perhaps?] in silent admiration or blustery gusts when recognized or achieved; when it becomes apparent greatness has surrounded us unnoticed and then leaves on the first train out of the station without so much as a good-bye. Then greatness becomes under-rated. I believe. Said very well, Raye. We should applaud greatness when we see and most definitely not overlook it. It is like when a Tiger Woods won his first Masters by ten shots, then the US Open by 15 shots and so on, that we all knew we were seeing something beyond the ordinary. Or, when Susan Boyle stunned everyone on Britain’s Got Talent. Or, when Nadia Comenici got the first 10 score as a gymnast at the 1976 Olympics. Now “10s” are passed out routinely. We should be in awe and so proud when we see someone do something at an extraordinary level. I’m not sure if it is a blessing or a curse to be able to see the greatness in others, but never see any of my own. Speaking of which, when is that one-woman show? The TEDWeWantYouToTalk people are going to call me and we (you and I) are going to I barnstorm our audience into submission. We can do this. PS. Don’t forget to bring your barn boots…the great big ones. What a great post … brilliant way to start my Saturday morning and I’m off buying chicken! No, chicken for you Missy J. not with your talent. Believe that. yes … coming in my pjs! I love the painting …that chair tells so many stories .. Thank you so much for your comment. Chairs tell their own stories, don’t they. Insightful and thought provoking … art is definitely in the eye of the beholder. AND … greatness is a state of confidence that no amount thinking can catch up with. “…a state of confidence…” Yes, that, too! You’ve really opened a can of worms, a quandary for which I don’t believe there is an answer. Greatness is much larger than solving a problem, and can be so much smaller, such as driving a nail consistently and without marks. Greatness goes beyond talent, but I believe, like your daughter, that it also comes from individual passion and a resulting contentment, not always a doable duo. I think of Herb Alpert, a great trumpeter, who had to give it up for years, because his passion of finding the “perfect note” became destructive. It was only after his accepting of himself that he played again. Dizzy Gilespie, John Coltraine were also similarly afflicted musicians. I always have considered myself a balcony person; the one who sits up there and passionately appreciates what greatness comes from others. It’s a wonderful place, the balcony! Sometimes a rarefied view from the lofts closer to the ceiling, top of the tent, nose-bleed seats…..!! !